Apple is heading toward a $1 trillion market cap. But could Amazon get there first? Apple is leading the way when it comes to U.S. companies stockpiling cash, according to a note from Moody’s Investors Service. Holding $158.8 billion, Apple’s cash pile is close to 30x what it was in 2004, when Apple has cash reserves of “just” $5.46 billion. 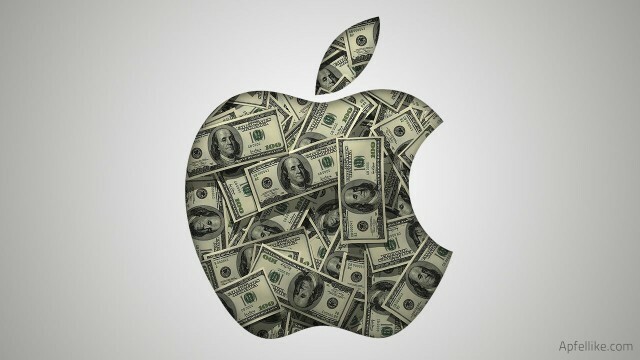 This means that Apple holds 9.7% of total corporate cash outside the financial sector. It’s not just Apple, however. Tech companies in general tended to stockpile their money — with Apple followed by Microsoft, Google, and Verizon went it comes to cash-rich companies. Technology companies in general held $309 billion more in cash at the end of 2013 than they did in 2009 — representing 53% of the increase for all non-finance companies. Of this money, $450 billion is kept overseas. U.S. companies as a whole held onto a massive $1.64 trillion at the end of 2013.